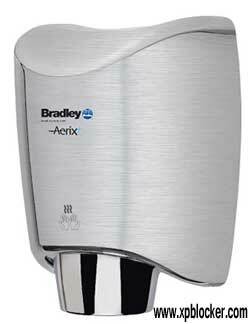 [XPB-2922-X] The Aerix High Speed Hand Dryer is made for high traffic areas. With a high-efficiency, this hand dryer uses 40% less energy than any high speed hand dryer. Intelligent controls for customize airflow, with sound quality and heating options. Dries hands in 10-12 seconds and equipped with a durable and vandal resistant cover. Choose from two different covers: Aluminum-White or Stainless Steel-Satin. For shipping quotes, orders or questions please call our Customer Service Center at 1-877-483-9270.